Tube and seed bead pyramid style 6 dangle earring on surgical steel french wires. It measures 3 1/2" long including french wire by 1/2" wide. 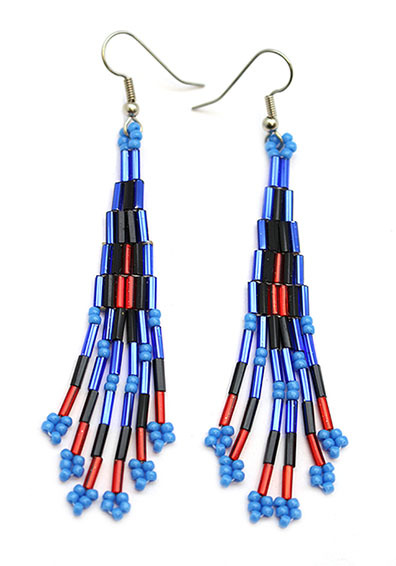 It is Navajo crafted by Betty L. Begay. Colors will vary. You may not get the color that is pictured.